FOR THE SECOND time in the last three months I’ve been to see a newly opened Paris Métro station. 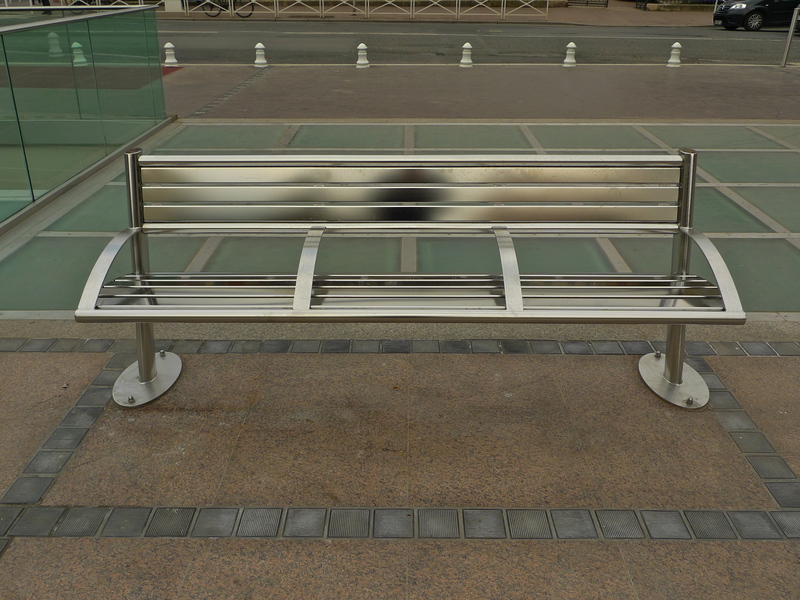 In December I went to have a look at Front Populaire, the new terminus at the northern end of Line 12. 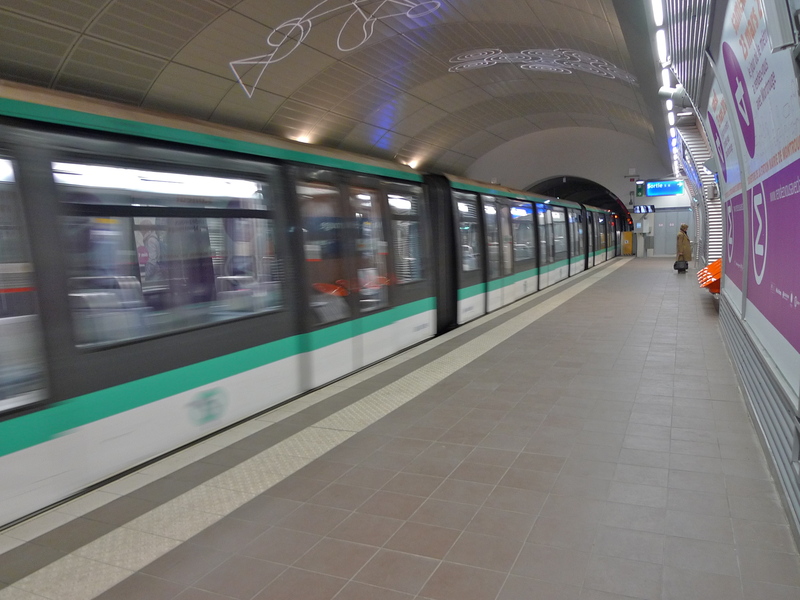 That station was opened on 18th December and it became the 302nd station on the Paris Métro network. 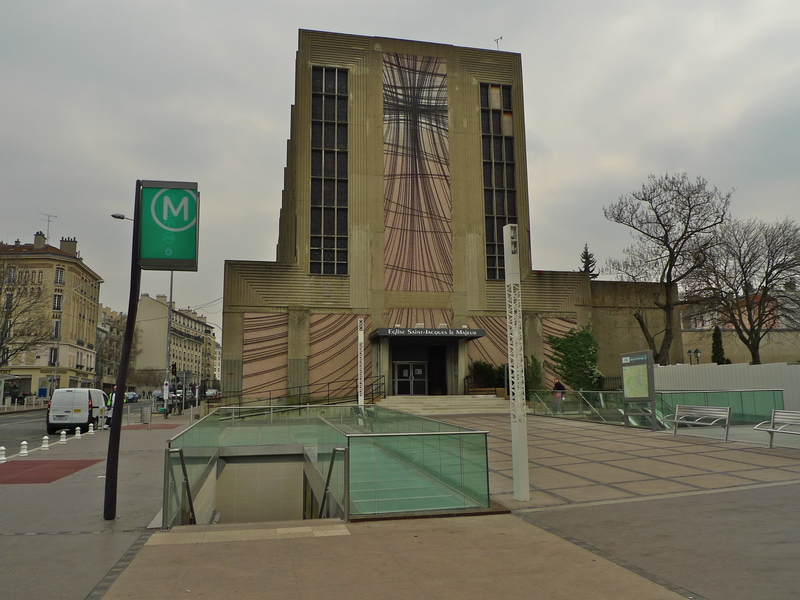 Last week, I crossed to the south of Paris to visit the latest addition to the Paris Métro network, the 303rd station, Mairie de Montrouge, which now becomes the new southern terminus of Line 4. The station was officially opened on 23rd March by Frédéric Cuvillier, Junior Minister for Transport and the Maritime Economy. 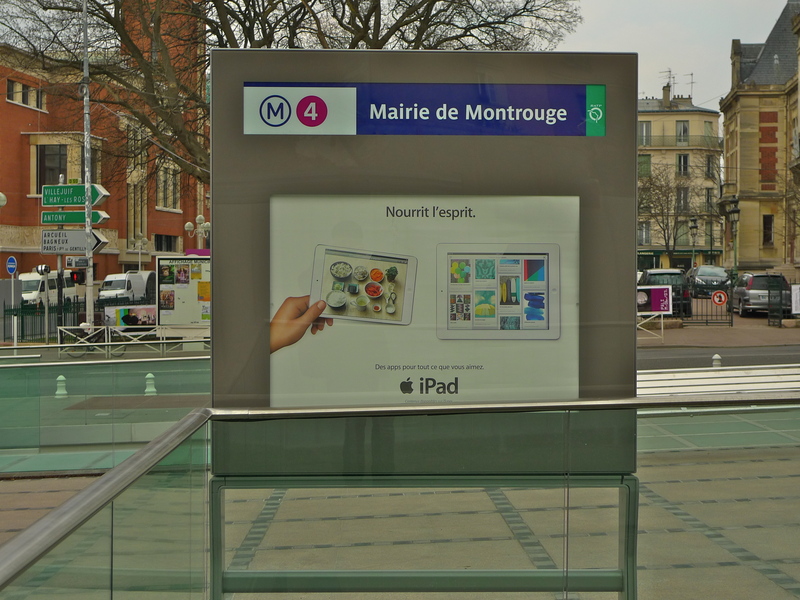 The extension to Mairie de Montrouge is the first extension of Métro Line 4 since its construction was completed in 1910. For over a hundred years Line 4 ran within the Paris city boundaries from Porte de Clignancourt in the north to Porte d’Orléans in the south. 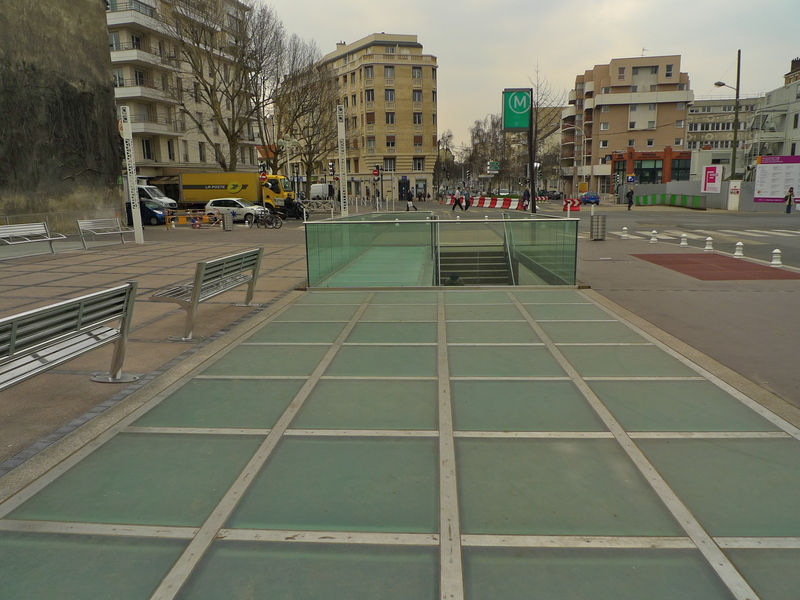 The extension to Mairie de Montrouge now takes Line 4 beyond the city limits into the suburbs. 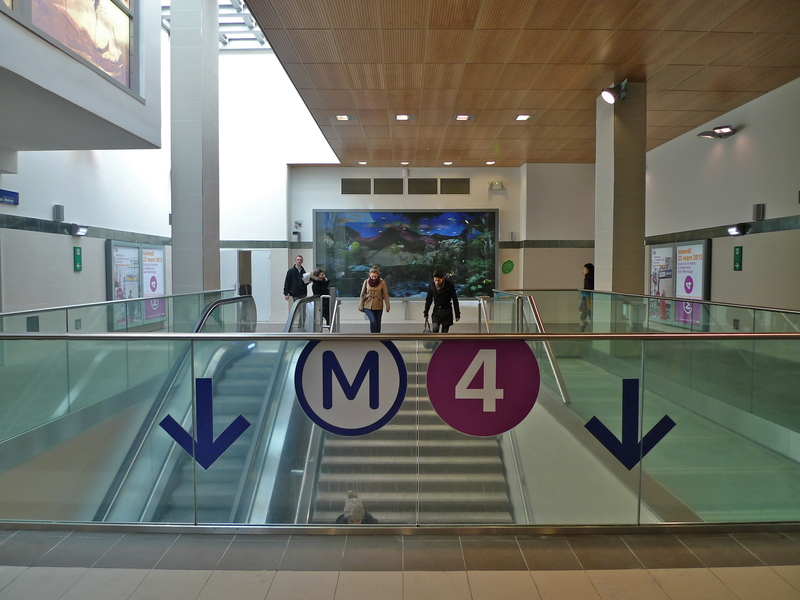 At a cost of over €152 million, the extension is 780 metres long and the work took five years to complete. In yet another example of RATP’s joined up thinking, Mairie de Montrouge station links with three RATP bus routes, 68, 126 and 128 as well as with the SQYBUS (Saint-Quentin-en-Yvelines) network. Inside, the new station has a bright and airy feel to it in part due to the use of natural light coming through the glass panels set into the roof which also form part of the concourse outside the station. 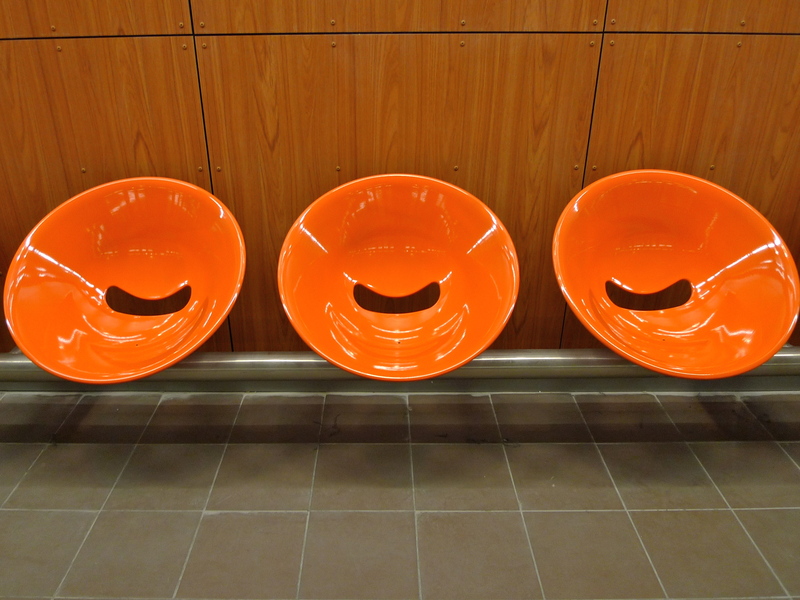 The seats both inside and outside are quite comfortable despite their rather futuristic look. The station has two entrances at the moment. The main entrance is on the parvis of l’Eglise Saint-Jacques le Majeur. 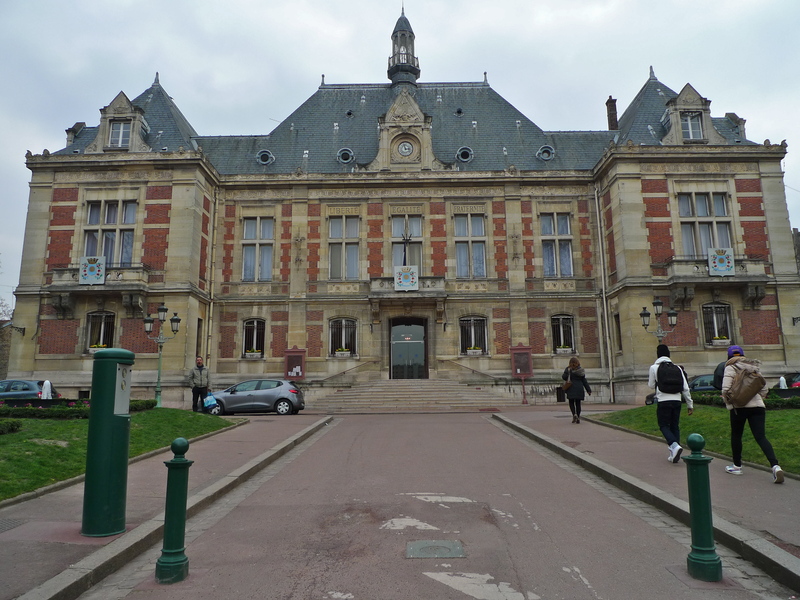 There is a second entrance at Place du Général-Leclerc and a third entrance, opposite the Mairie, is under construction and is due to open next year. 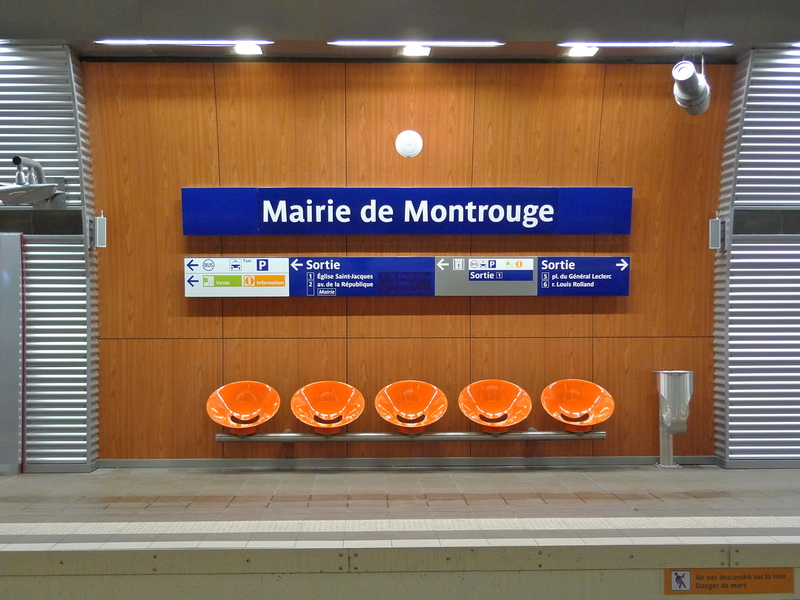 Extending the line to Mairie de Montrouge is only the first stage of the southern extension of Line 4. 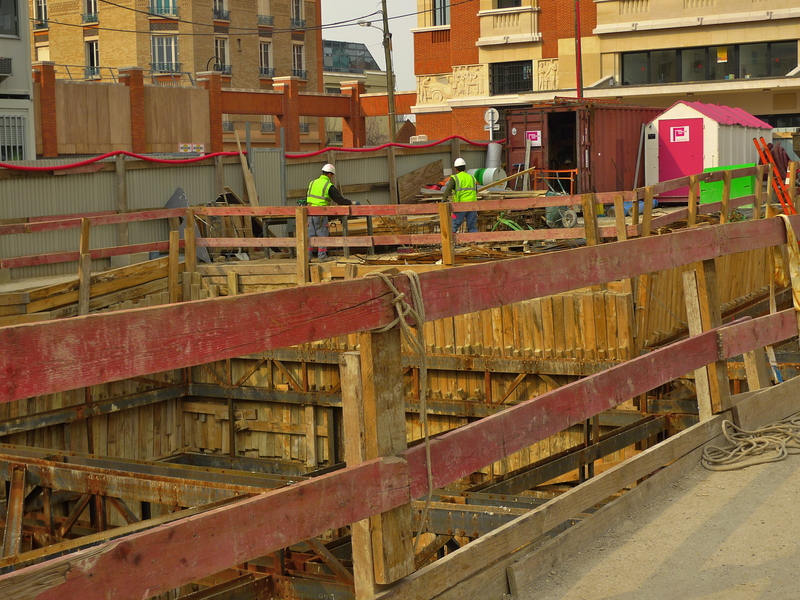 In 2014 work will begin on a further extension with two new stations, Verdun Sud and Bagneux. These stations are planned to open in 2019. Until 2011, the trains on Line 4, the MP 59, were the oldest on the Paris Métro system, some of them 50 years old. 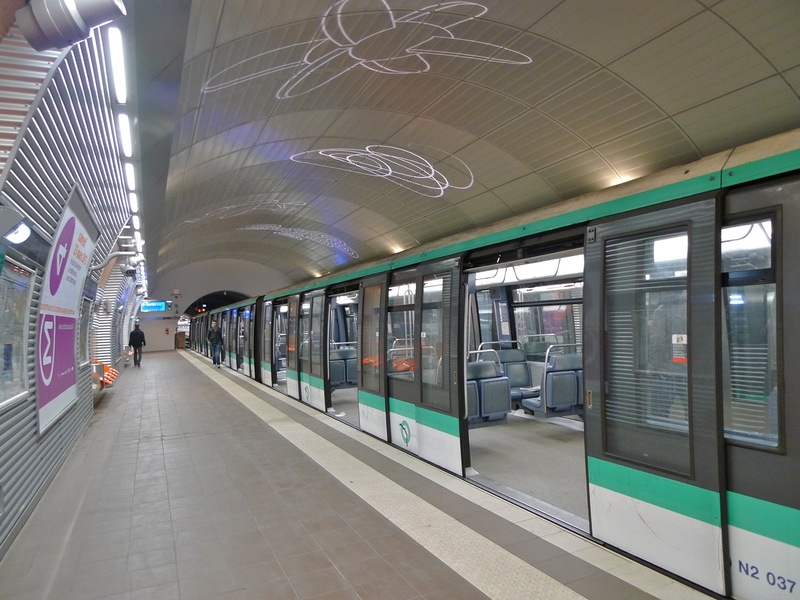 During 2011 and 2012 newer MP 89 trains, formerly running on Line 1 but now redundant since the automation of that line, were cascaded to Line 4 making for quicker and more comfortable journeys. With 154 million passengers a year, Line 4, the second busiest line on the system after Line 1, now has faster and more comfortable trains taking passengers further than ever.